You guessed it. Well, the title of the post kind of gave it away. It's Fabulous Find Friday! 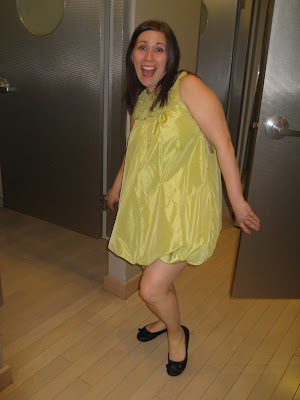 I have two fabulous finds to share with you this week as well as some pictures of Gina and I on our spring shopping spree last night. We had a blast. 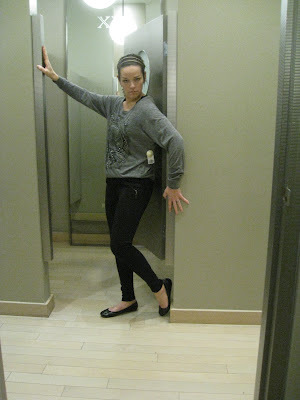 Gina found WAY more stuff than I did, but I was happy to nab a cute shirt and cardigan at least ;) Before you read on, I just want to warn you... If you thought I was a dork before, this posting will definitely seal the deal of my being a dork in your mind. I'm so secure in my dorkiness that I am perfectly willing to share it with the world. So there. Word of the day is, DORK! AHHHHHH! 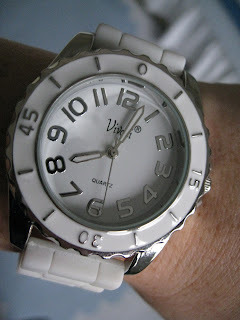 First fab find, my white watch from Kohl's. I've been wanting a white watch for a year or two. Seriously. I paid 14.80 total for this one. Not too shabby! Second find-ran into Target yesterday to grab some misc items. Had to swing by the clearance clothing, of course. These skinny jeans were only 6.24! They had a handful left. Get em' while the gettin's good! My husband loves tigers. Found this studded tiger face shirt. I know. How could I pass this up? 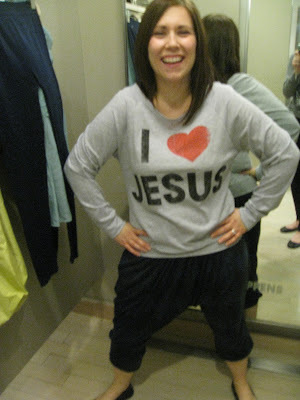 We loved the I heart Jesus shirt but with the MC Hammer pants, it just doesn't work. I tried it with heart shorts. Warning. You may go blind due to the whiteness of my legs. Gina tried this crazy neon bubble dress. I thought she looked like Judy Jetson. We stopped by LUSH afterwards. The sales girl insisted we try a edible sugar lip scrub. It provided me just the energy I needed to finish our shopping extravaganza. Gina. You better comment with some of your fab finds. Don't leave me hanging. And anyone else??? Tina, I love your Pee Wee Herman reference, you dork. AHHHHHH! You girls are too funny! My daughters and I love to go thrift shopping for fabulous finds. We score really big at Goodwill, as well as some smaller local thrift shops. I'll be heading out to Kohl's this weekend. I have a mailer for $10 off a $10 purchase, and I can combine it with a 30% off mailer. Hmmm...I wonder what I'll come home with?